Tropical depressions make me depressed. I normally love the rain. Being rained-in on a lazy Sunday with blueberry pancakes (thank you babe), a frisky cat (thank you Ninja), the interwebs and many good books to read, usually makes me happy. But I’m itching to get outside, rain or shine. …Its just water. damnit I need to fish. How about THE PLANTATION SOUTH by Katherine Jones, on, yes, life on plantations in the ante-bellum south? Not exactly, snuggle up on the couch material, but its excellent research for my book, accounting for all walks of life on the plantations from North Carolina to Texas, captured in letters from visits by Yankees to international dignitaries to school teachers. One of the best– a letter describing a slave auction in Richmond, Virginia by a first-time buyer, his disgust at the slavemonger, but not himself of course. I just completed Ray Bergman’s classic TROUT. Bergman’s tome is the first, and frankly, last word in fly fishing for trou. Written over sixty years ago, I experience its lessons everytime I’m on the water. Nothing in the world is new…except 100% graphite fly rods, and the fact that its simply not possible to catch the lunker trout he caught in his day in some of the rivers he describes (thank you mankind’s little gift…global warming and pollution). Yet every lessons still applies. Starting tonight, TWELVE YEARS A SLAVE, by Solomon Northup. This unfortunate NY freeman born in 1808, was kidnapped into slavery while visiting Washington, DC in 1841 and forced into life as a slave for 12 years on a Louisiana cotton plantation. More research, of the terrifying, wake up in the middle of the night with shakes, sort. I have every intention to visit Charleston, NC in the fall to conduct research and I won’t lie…I’m nervous. Yankees have always felt “uncomfortable” walking in the southern shadows of their ancestors. My great, great, great, great grandparents, Joseph and Maria Sherman were Charleston slaves who were freed upon emancipation. One of these days, I’m going to do a series of posts on my genealogy…the stories there! And then there’s Frank Daignault’s STRIPER SURF. I finally bought this book after years of lollygagging, and consumed it in less than a day. Now I’m dreaming of picking up my salt fly fishing outfit (my birthday present to me) as soon as possible because in two weeks the missus and I are going to be in Fort Walton, Florida… No, there are no stripers down there, but snook will make nice practice before the fall run in October. Hmmm, I’m starting to see the symptoms of becoming a curmudgeony blogger or becoming a curmudgeony fly fisherman…guessing at what you might be thinking as I write. Will have to let that go. 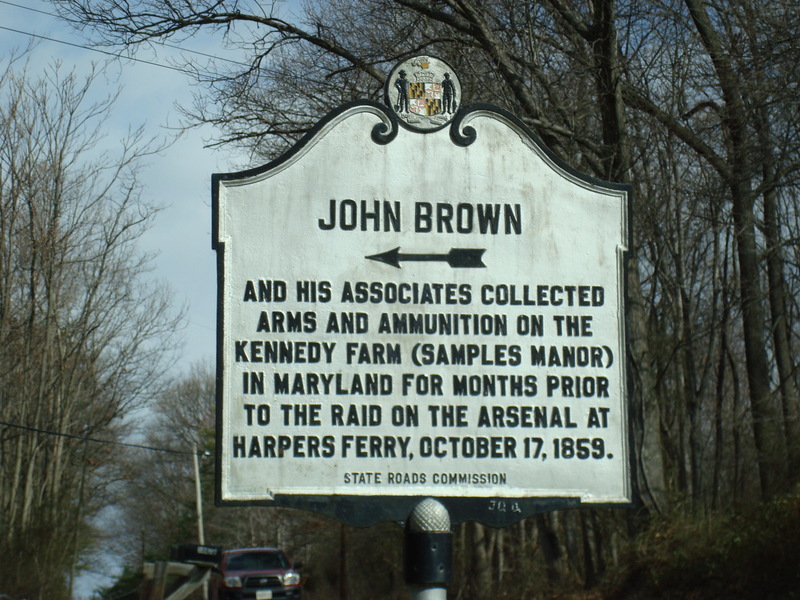 As I continue to do the character development for my book about the fugitive slave Emperor Shields and how he joined John Brown’s infamous attack on Harper’s Ferry and his subsequent martydom, I came across a startling and compelling bit of history. I’m currently developing a fictional slaveowner, “Jonah Vanderhart,” as Emperor’s master and owner. 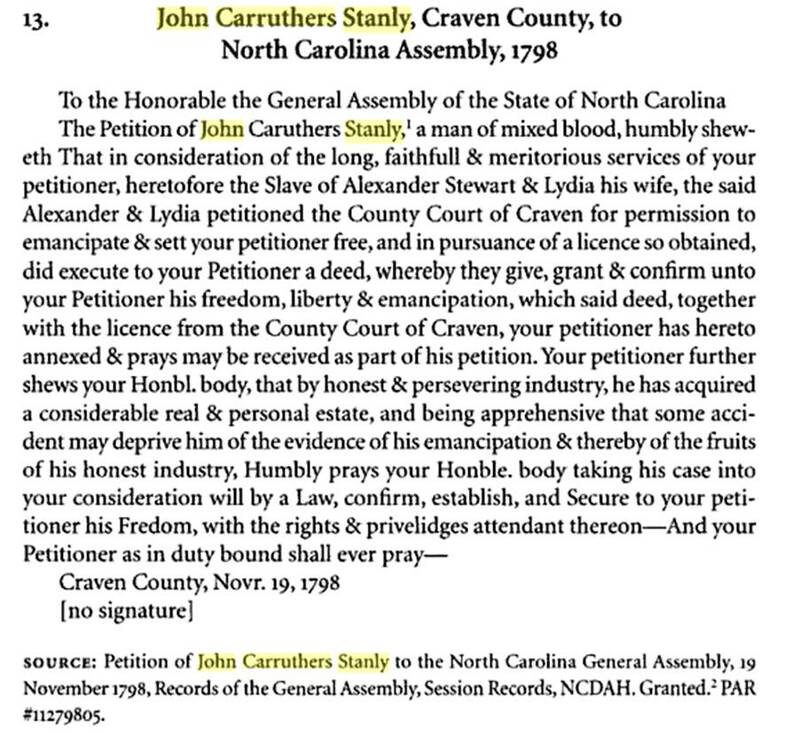 In researching slave owners in North Carolina in the 1800s, I learned of a former slave, turned slave owner, who also became the wealthiest black alive in the 1800s, John Carruthers Stanley of New Bern, NC. Stanely was an incredibly complex person and so is his story. His life proves that history can never be taken for granted and that we have so much to learn from it if we study. The complex industry of slavery in the US was dynamic, ever-changing, and of course, insidious. It was a form of capitalism that was far more grey than black or white, and it involved everyone. My own genealogy research has shown this to be true–that though enslaved blacks were chattel, it did not mean they stood idly by, it did not mean they built their own societies, culture and lifestyle. The “Roots” version of African American slavery, while groundbreaking for its time, can lead to an over-simplification. Stanely owned over 160 slaves, lived in a big house across the street from his white father, knew which African tribe he descended from (Ibo). Educated and trained as a barber, Stanely petitioned for and won his own freedom after becoming a successful barber. He purchased his wife Kitty, a slave, and other family members. He started a plantation which was worked by both free blacks and slaves. He was considered as tough as a white master and apparently used the same techniques of slave owners–the whip, overseers and forced ignorance. I’m struck by several questions. Why did he purchase slaves? What possessed him to amass so much wealth? Faced with insight that his own education set him free, why turn his backs on so many? Or did he? Is there more to the story? As today, so then, money and friends could buy your freedom, buy your family’s freedom and buy you slaves (if you had enough of it). One of the raiders at John Brown’s attack on Harper’s Ferry, Dangerfield Newby, was in fact, a free man and blacksmith who had tried to raise enough money to free his enslaved wife Harriet and six children. Dangerfield realized though he could not do it in time before they were to be sold into the deep south. Several letters from his wife spurred him on (note- both he and his wife could read and write, again, one cannot assume slavery meant slaves were incapacitated). Newby joined Brown on the attack on Harper’s Ferry with this in mind. My development of his motivation concludes he was also recruiting among the raiders to rescue his own wife. Tragically, he died at the attack and his family was separated and sold off. Though, just five years later, slaves were freed upon the Emancipation Proclamation. I feel drawn to further explore Stanley’s story as a means of unlocking the nature of the mind of the slaveowner. Who knows? Perhaps his story will spark a new book project for me. One thing is for certain, I marvel how complex we are–how history, our lives are so very full of choices. Real lives are always more interesting. 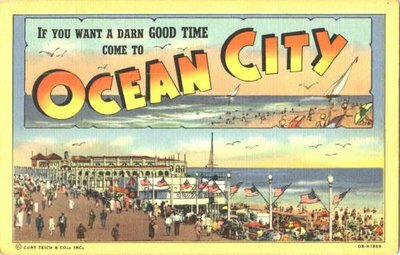 In 1989, I was sixteen years old living in Ocean City, NJ, a sophomore in a town and high school that never left the 50s. The town was dry (no alcohol sold), and the only way onto the “island” was by one of three bridges across the Great Egg Harbor. I walked to school about four blocks, and if I went a block too far I would be walking in the Atlantic Ocean. If I walked the other direction from my home about the same four or five blocks, I’d be in the bay. While the provincialism of the town was a constant source of ire and something to rebel against, I found a kind of isolated quiet in which to grow from teen to man. 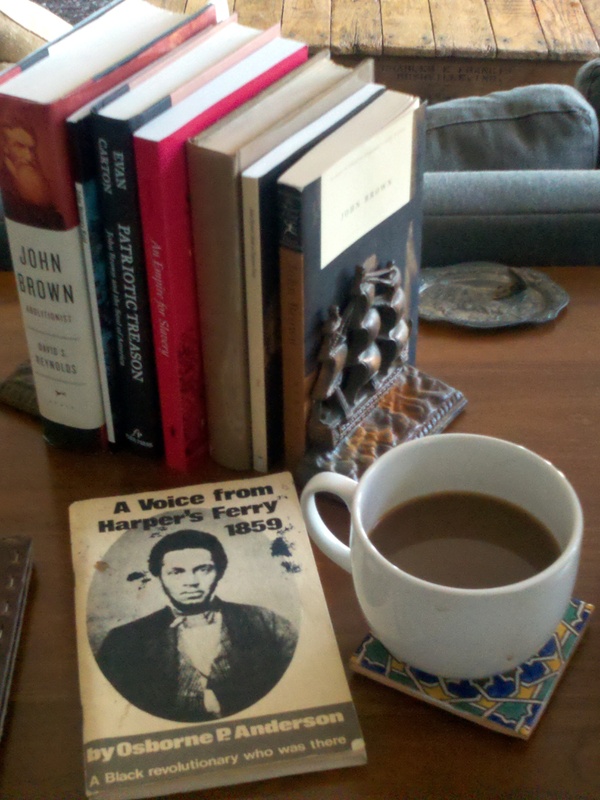 I found my first loves there really–books, music, theater, poetry, writing, and deep kinship that only young men who live closely together (with something to rebel against) can find. It didn’t matter that my comrades were four black teenage men with high-top fades brought up on hip-hop, and instead of the solitude of a rural private school we had the endless summer of the boardwalk. We never found our literal captain as the boys of the fictional Welton Academy of Vermont found in Mr. Keating (played by Robin Williams). Though its arguable our pot-smoking, vietnam vet, theater teacher (who shall remain nameless) might have fit the bill on occasion. He had a lime-greenVW van, ‘nuf said right? I’m reading a collection of Whitman’s writings about the Civil War now, Walt Whitman’s Civil war edited by Walter Lowenfels and produced in 1961 with drawings by Winslow Homer, picked at a bookshop in Woodstock, Vermont earlier this year. Twenty years on and his words are whispering in my ears now differently. 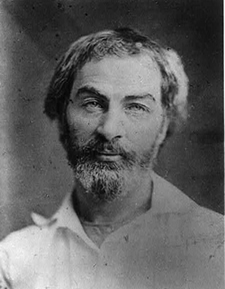 I see a younger Whitman, intoxicated and bewitched by a new source of inspiration, that of war. 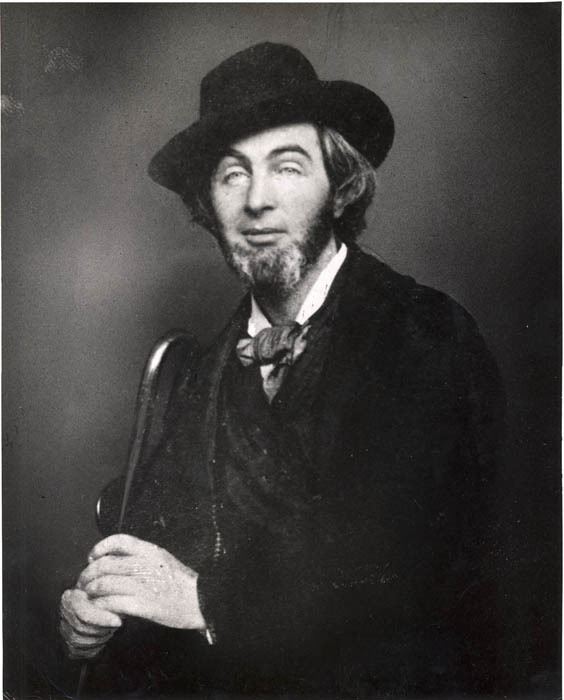 From 1861 to 1865, Whitman worked from Washington and spent countless days on the front and in hospitals with soldiers, both North and South, blacks, contraband (southern blacks), officers, the wounded, dying, and recovering. While I was inspired by Whitman to be a naturist first (he gave voice to my deep abiding love for nature that developed in rural Ohio), I’ve rediscovered him again as an adult. Turns out we both live(ed) in Brooklyn and we’ve reconnected it seems over my own genealogical research into the Civil War era. In the last five years I’ve become my family’s genealogist, documenting several family lines back to the late 1700s and 1800s, back to slavery in Mississippi, South Carolina, Texas, and Virginia. I was inspired by Skip Gate’s program African American Lives initially. The Civil War marks a gate through which many black family lines are lost, emerged, dissappear, reappear after emancipation, transformed. However, my genealogy is a story for another time. And in Whitman’s writing, the Civil War is made human and real. Hollywood’s images, Glory, God’s General, Roots, even the documentary images of the Burns brothers fades away into a new expression. But sweet, ah sweet, are the dead with their silent eyes. 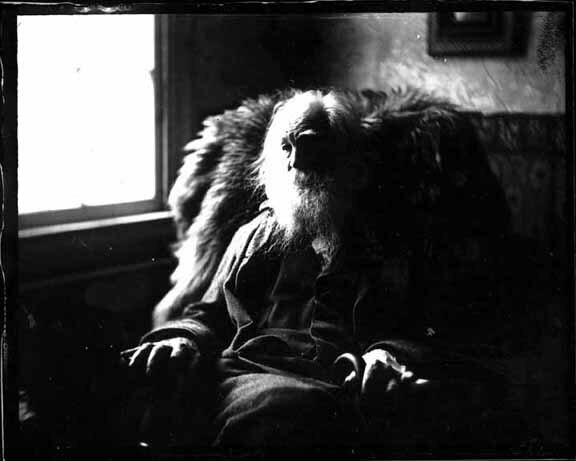 In 1992, a rare phonogram recording Walt Whitman emerged and was much debated, but most scholars have settled on its authenticity–the quality matched Edison’s “vertical-cut” method of recording which was 30 years ahead of its time, and the accent of the speaker was indeed Atlantic Tidewater with an Adirondak inflection (an accent that is near extinct today). 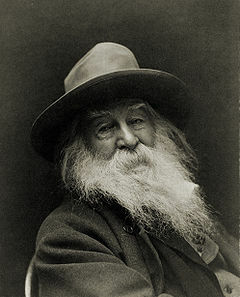 I encountered Whitman’s voice, sadly, in a Levi’s ad earlier this year. Despite being a marketer, even I was a bit mortified. I guess its just another bit of penance I’ll have to do for hawking brands instead of focusing solely on writing, alas. Yet the strength of his rich voice, the simplicity and cadence to the poem “America,” overwhelmed me. It is so like my inner voice, the way in which I think and write today. You can hear his voice for yourself here. 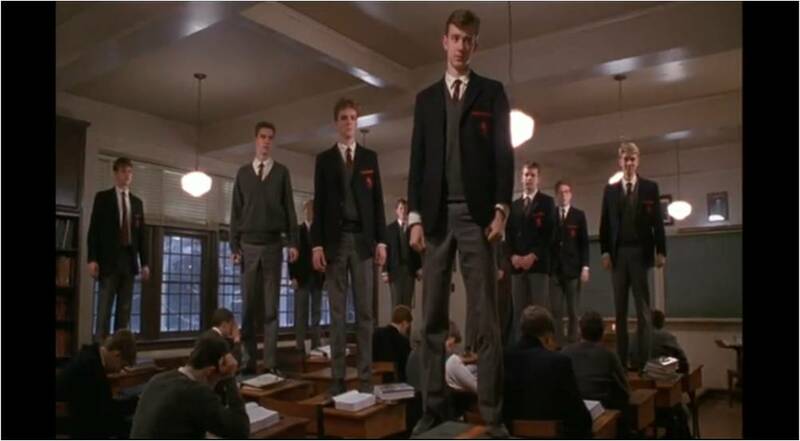 Whitman is and always will be my captain. Yesterday was a bum day at work. The kind of day that just wrecks your confidence in people and perhaps even your choices. I should have seen it coming, I spent the weekend pining for a house. 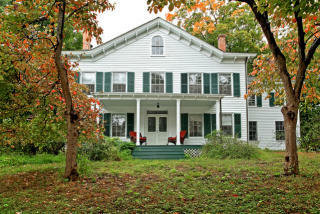 I’m in ‘nesting’ mode and that usually means long visits to Trulia.com to browse homes upstate. The Poconos, the Catskills, along the Westchester Reservoirs. I spent most of Sunday with football in the background as old ranches on 2.3 acres whizzed by my screen. This one caught my eye…but it was too close to town, too manicured. Now, I’m priviledged. 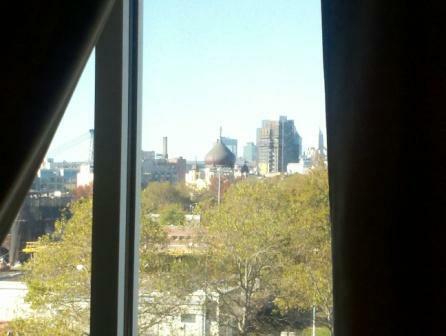 I live in a condo in fashionable Williamsburg, with a view of arguably the most social park in the city, McCarren Park. …it has resurfaced tennis courts. I can get my hipster on by just walking outside. But a man isn’t a man until he makes a homestead. Growing up on a teacher’s salary, my family of 7, sometimes 8, moved around a bit, but we stuck to the outskirts. The rural lands where big houses were cheap and easily accommodated a sprawling growing family with not a lot of money. 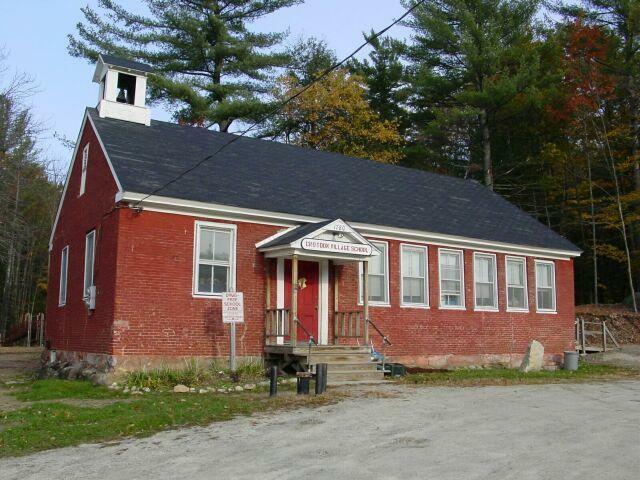 I attended (seriously) a one-room schoolhouse in Concord, NH, like this one in Croydon. Anyway, I digress–at work yesterday–I was reminded that when people are ugly, its often when they’re trying to act “pretty” and “nice”. Coupled with my dissatisfaction that I was far away from owning a home (my savings have been consumed by other things this year), and “pretty-ugly” behavior, I felt a kind of ache in my chest. Finally, I was able to scratch it late last night–by cracking a key chapter of the novel I’m writing. Here are a few of the research materials, below, held up by tall-ship bookends acquired at Brimfield this fall. Writing soothes the soul. The ache has faded. Writing is a tough and lonely affair, but oh so deeply satisfying.